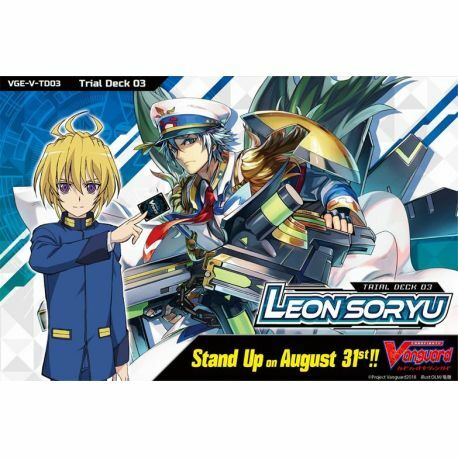 Featuring a Trial Deck for Aqua Force, the clan used by Leon Soryu, the champion of the Asia Circuit! The Clan Type is Accel! Experience the waves of consecutive attacks with the 3 Gift Markers included!! Includes 4 copies of cards needed for Accel like "Marine General of the Restless Tides, Algos", and not forgetting the Front Triggers! A "Marine General of the Restless Tides, Algos" with special treatment is randomly included too!! 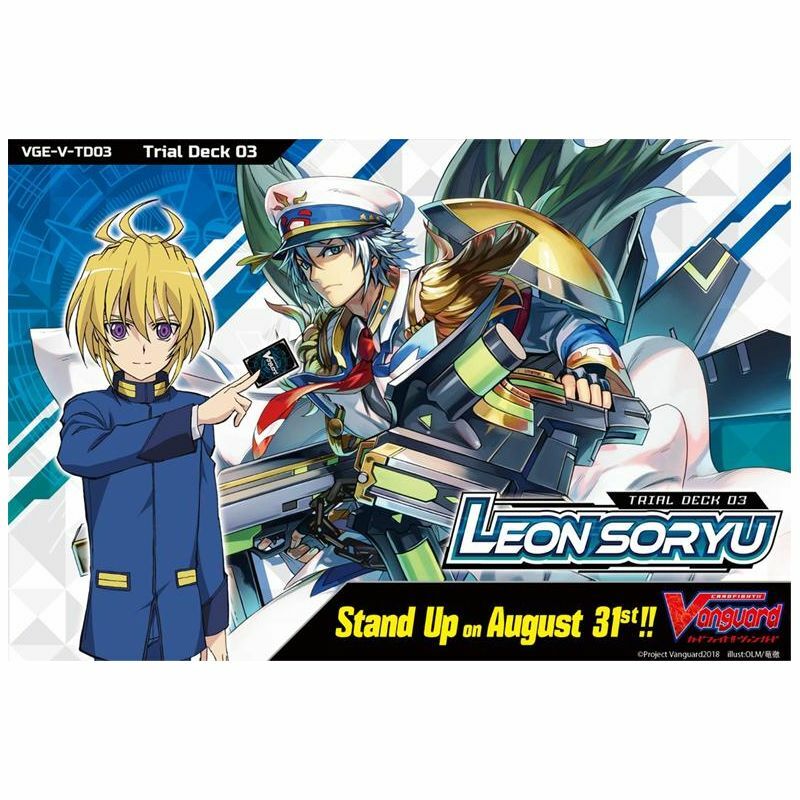 Strengthen this deck with the same-day-release V-EB02 "Champions of the Asia Circuit"! Trial Deck of 50 cards for the clan : Aqua Force - 14 types of cards (14 new cards + inclusive of 4 holo cards).